2009	– A lysande year for KM at York! 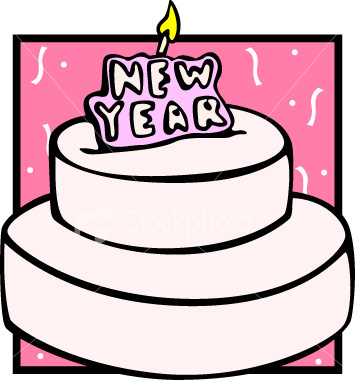 Certain milestones simply invite reflection; anniversaries, birthdays and the arrival of a new year are most obvious. Never one to shy away from opportunities to reflect, I am pleased to share with you a retrospective look back at 2009 for the Knowledge Mobilization Unit at York University. On behalf of the entire team, here at the KM Unit we are proud of the level of service and commitment we have provided to the research community here at York and to our project partners and collaborators outside of York. While our data reflects growth and success over the past year (and stay tuned to Mobilize This! for more on this in 2010… but a teaser for you, we have had 1 million web hits from 2007- May 2009 and almost 1 million hits since! ), our work is so more than the quantitative metrics of opportunities brokered, revenue generated from collaborative research and numbers of students engaged. We are proud of the stories we have shared on Mobilize This! but we acknowledge they are not always our stories. I would like to share with your two brief examples of our work in 2009, which is intended to shine a little light on us, but shine a very bright light on the work of York researchers and our non-academic collaborators, for it is these people who provide the energy needed to support this process of collaboration. A York Knowledge Mobilization Peer to Peer Network – Did you know that at York University there are over 25 people who self-identify professional interests and responsibilities in KM? As singer/songwriter Peter Gabriel said, you can blow out a candle but you cannot blow out a fire, to which, KM is generating incredible momentum across Canada and York is a recognized leader. Working collectively, we have developed an action agenda here at York to share knowledge and build capacity – individually and collectively – around KM. Student Interns (4 interns of the 19 graduate students engaged by KM), Community-Based Research Projects (26 of 48 collaborations in 2009 were community-driven), Major Collaborative Research Initiatives/Community-University Research Alliance projects (KM has supported three successful large-scale grants in 2009 worth $6 mil) – so what do these three all have in common (aside from the obvious)? As evident by the data above, the KM Unit has helped support success for all three. It is important to clarify our role; we are not the reason for the success, we are simply the brokers, matching the right people and providing the right information. As our KM Colleague, David Yetman at Memorial says, “KM is like the Ed Sullivan Show. We set the stage but we have none of the talent”. It is a great feeling to support people who have the vision ad the talent to collaborate and utilize York expertise to help meet real world solutions. In closing, if imitation is the greatest form of flattery then we are all blushing here in KM. Not only are colleagues from other Canadian universities seeking our input to inform their decisions about investing in KM support services, a delegation from Sweden visited the KM unit at York in October. Some from that delegation are now considering developing services for KM which they call Kunskapsmobilisering. Well, I think that is just lysande! Best wishes for a safe and happy holiday and a healthy and prosperous 2010! KM at York: How will it grow – from understanding to undergraduates?From Local to National to International – KM is in the News!